Scooby and the gang are on another mystery adventure. On their way home from a camping trip, the kids almost run into a headless horseman in the middle of the road who warned them of the Ruppscupper curse. As the story goes, when Jedidiah Ruppscupper decided to build a town on that spot some folks tried to scare him off the land. They say a headless horseman chased Jedidiah into the forest and no one ever saw him or the horseman ever again. And now the horseman’s back to try to prevent anyone from building a restaurant on the site of Jedidiah Ruppscupper’s land. 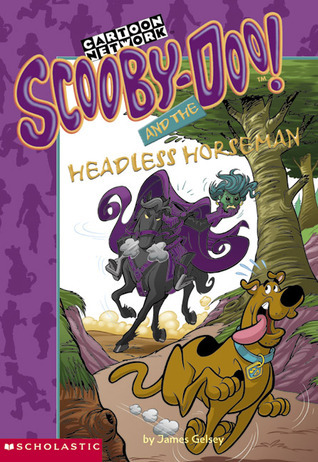 The kids follow the clues, newspapers, horse feed, and hoof prints to reveal the identity of the headless horseman. As a reward, the kids get free Chow ‘n Chew Chompers for life! 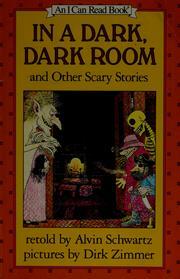 This easy to read early-chapter book contains seven ‘ghost stories’. One of them is called The Green Ribbon. Jenny was a girl who always wore a green ribbon around her neck. She never took it off and she wouldn’t tell anyone why she wore it every day. When she got older, she married Alfred, but she never told him why she wore the ribbon. She promised him, she would tell him when the time was right. Jenny and Alfred grew old together, and one day the doctor said Jenny was dying. She called Alfred to her bedside. She told him that they time was right for him to find out why she always wore the green ribbon. She told him to untie the ribbon… and her head fell off!